After Hawaii’s Tristin Kamaka made a fair catch on a kickoff at his 13-yard line and the ball was moved up to the 25, Colorado State players pointed fingers and waved arms to indicate the spot was off by 12 yards, and the home fans howled. Yes, it’s going to take time to get used to the NCAA’s new kickoff rule. If a fair catch is made on a kick inside the 25, it’s a touchback and it’s marked at the 25. A fair catch beyond the 25 is marked at that spot, like on a punt. A muffed fair catch also is marked at the spot regardless of which team recovers. Coaches say they’ll take the rule into account in special teams game planning. A team that struggles returning kicks might play it safe, take a fair catch and start with decent field position. The ability of the opposing coverage unit might factor in the fair catch-or-return decision. 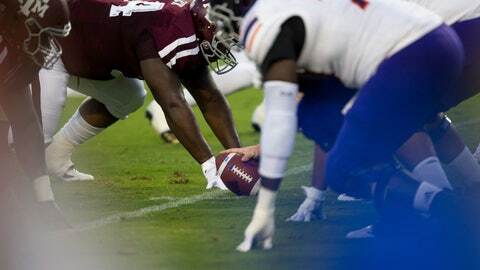 The directional kick might not be as prevalent because returners who get pinned deep along the sideline can take a fair catch to get out of trouble. “I hope so, actually, so we can make them pay,” Jones said. Johnny Rodgers, the 1972 Heisman Trophy winner for Nebraska and the college game’s best return man of his time, fears the kick return and the potential for a game-breaking 100-yard runback could be phased out of the game. Massachusetts and Hawaii were the only teams to take fair catches on kicks last week. Kamaka’s fair catch for Hawaii came after Colorado State pulled within 40-34 with 4:42 left. The Rainbow Warriors drove for a field goal and won 43-34. Ghobrial said he didn’t read much into the fair catch being used only twice on 50 kickoffs last week. He said the sample was too small and that teams’ strengths, weaknesses and tendencies will emerge.